Q: I was seriously injured, suffered a broken leg and broken arm in a Motorcycle accident. I don’t have insurance on my bike. What should I do? A: We just received a call last week from a client who found us on the internet. Recognized that our background and skill matched with what he needed to help him with his Motorcycle Accident which resulted in substantial injuries. Recent study by The National Highway Traffic Safety Administration Center for Statistics and Analysis shows 47% of all Motorcycles involved in fatal crashes collided with another motor vehicle. In two vehicle crashes 77% of motorcycles involved were struck in the front and only seven struck in the rear. 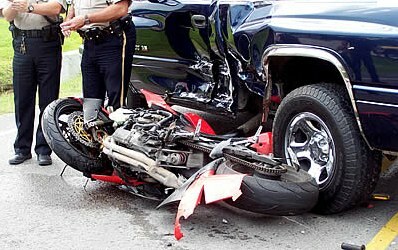 Motorcycles are more likely to be involved in a fatal collision with a fixed object then are other vehicles. In 41% of crashes the other vehicle was turning left while the Motorcycle was going straight, passing or overtaking a vehicle. In this new case, the other vehicle made a left turn in front of the motorcycle. Unfortunately, my new client did not have a valid Liability Insurance Policy and therefore under Proposition 213, which was passed by California voters some 8 or 9 years ago, the Defendant would not be responsible for General Damages/Pain and Suffering. Special Damages such as Medical Bills and Property Damage would be covered. Pain and Suffering makes up the biggest amount of the value of a case. One of NELSON & NATALE’s Jury Trials last year reflected a $24,000.00 dollar broken wrist. The Jury Awarded $900,000.00 dollars in General Damages, one incredible amount of money. Guess what, the Defendant’s insurance company paid it. In that case our client’s insurance was not an issue, but if it was, Proposition 213 would have reduced the financial recovery to $24,000.00. 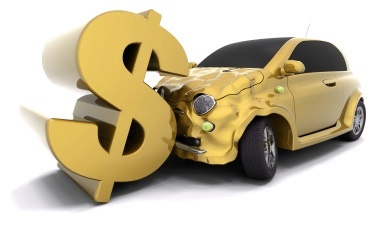 It’s a tough lesson to learn but each of us needs to take a close look at our Motor Vehicle Insurance Policy and see how much coverage we have. According to “Fox Business”, a recent survey titled “Car Insurance Confessions”, shows that nearly 40% of motorists indicate they eat or drink behind the wheel and 30% say they talk on their cell phone while driving and one in ten people are driving without Insurance. Here in Southern California it’s probably more like two out of ten or 20% of motorists do not have Liability Coverage and at least 50% of motorists don’t have but $15,000.00 coverage.